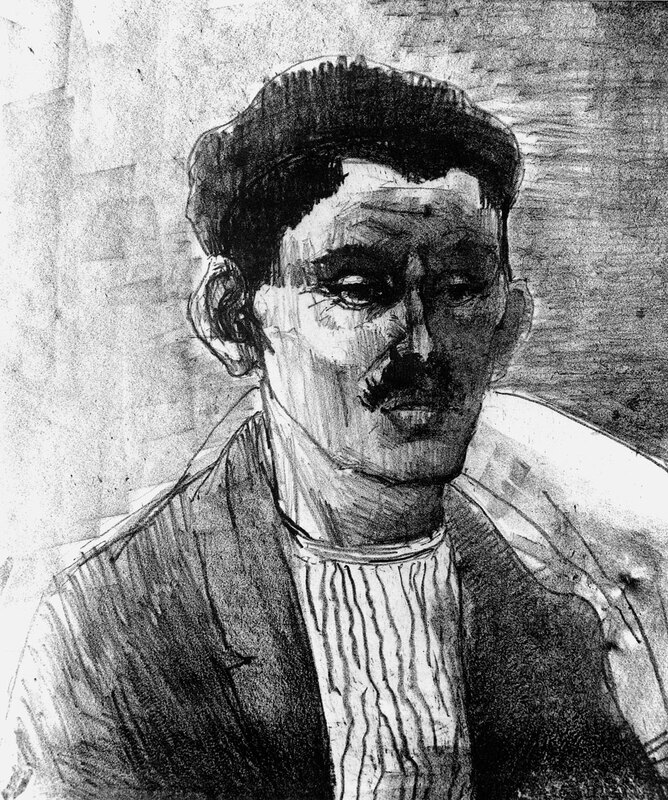 description A head-and-shoulders lithographic portrait of a young, dark-haired man with a moustache, seen in three quarter face view with his head turned partly to the right. He is dressed in a collarless, striped shirt and jacket, and seems to be carrying a blanket or towel on his right shoulder. The work dates from the artist's Whitechapel period. literature ed., B. Planskoy, 'Eva Frankfurther 1930-1959: Paintings, lithographs and drawings' (London: Peter Halban, 2001), illus., p. 112.